The Toastmaster for the evening, Dave Batchelor, ran a great meeting while also performing his role as sergeant-at-arms. Great multi-tasking, Dave! The first speaker was Gary, who had been working on this particular speech for a while. 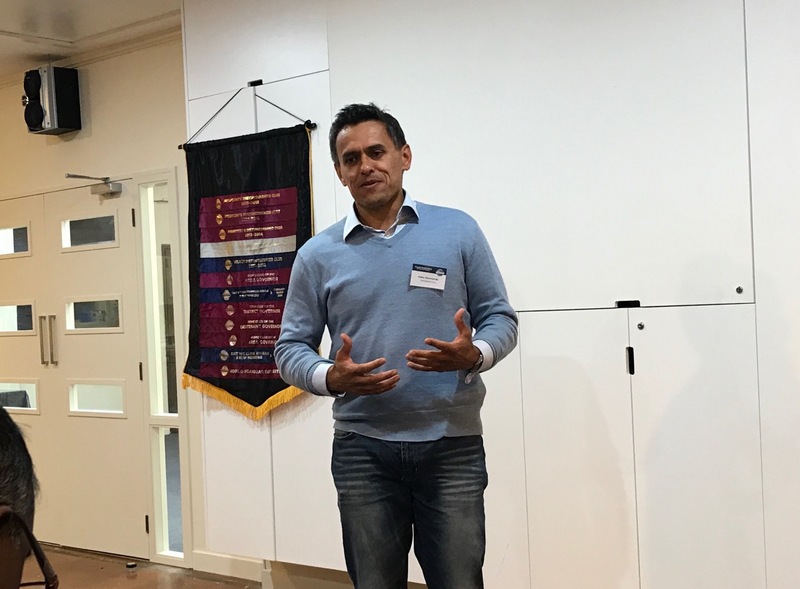 Gary spoke about how every great Toastmasters club will eventually move into a period of decline after experiencing a period of success. 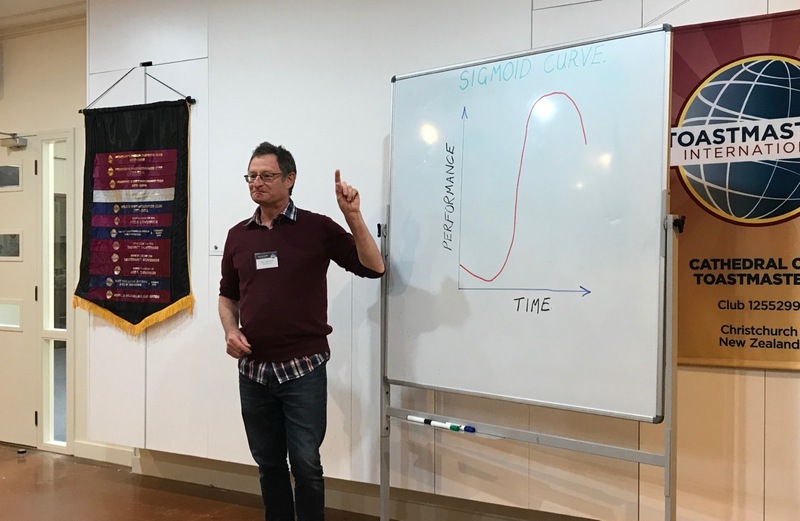 He used the famous sigmoid curve to demonstrate how the rise and fall works, and discussed ways that our club could avoid this problem in the future. Gary had a lot of amazing suggestions for how Cathedral City could extend itself into new and exciting aspects of society, and we can’t wait to give some of them a try! 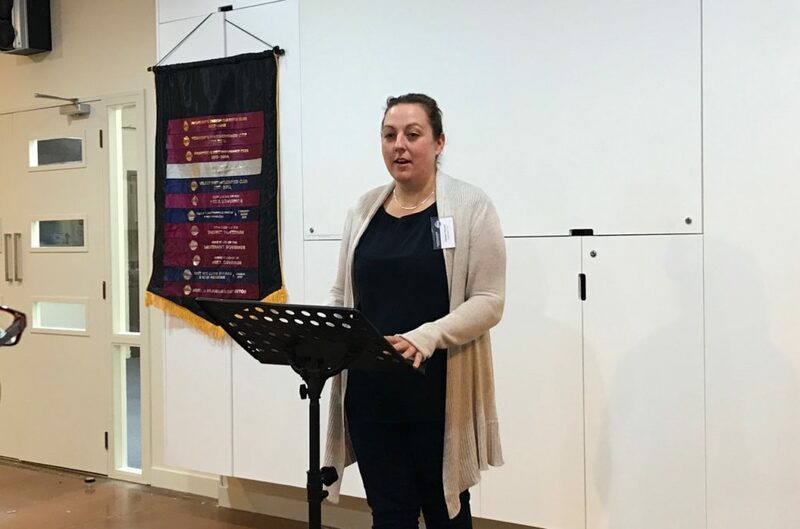 The next speaker was Hannah, who was practicing a bridesmaid speech for an upcoming wedding. Hannah delivered a great speech full of emotion and stories from the past, and there won’t be a dry eye in the room on the wedding day! The final speaker was Kahu, who discussed one of the greatest scourges of the modern world – sugar! Kahu talked about his own personal addiction to sugar and some of the steps he is taking to combat the affliction. We all learned a lot from the speech, but there were still several members reaching for the biscuits at supper time! The table topics were handled by David Knight, who stepped in for Pooja. David delivered Pooja’s topic – having to describe important events in your life. Examples included Jan who spoke about the happiest moment of her life, and Houssain who spoke about the funniest moment of his life. Everyone did a great job. After the supper break, we had evaluations from Dave Brierley, Ade, JP, Steve, and Sergie. The timer for the evening was Eva, who kindly stepped in at the last minute.